Steven D. E. Matheson - B.A., LL.B. In addition to being a full-time Dad and part-time chauffeur, coach, and mentor, Steve thoroughly enjoys the practice of law and working with the varied and interesting clients of Goad and Goad LLP. 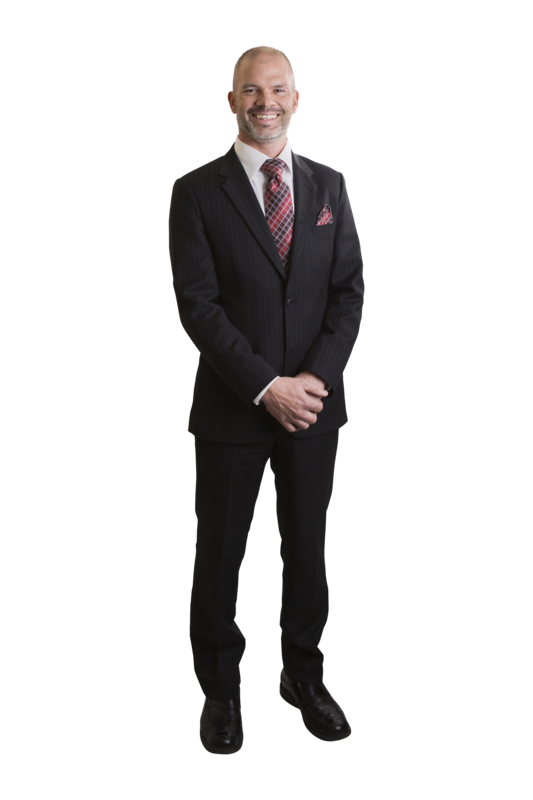 Steve has enjoyed being legal counsel since articling for a small firm in Thunder Bay in 1998. Since that time, he has been legal counsel to multi-million dollar corporations and has represented individuals, businesses, non-profits, charities and government entities in a vast array of matters. Having grown up in an entrepreneurial family, he has a particular affinity for Business / Corporate Law. Wills and Estate work is similarly near and dear to his heart, having spent oodles of time with his grandparents as a young lad and working in a Home Health Care business throughout his formative years. He particularly likes assisting our clients by guiding them through the many pitfalls that can befall an unwary Estate Trustee. He also has extensive knowledge and experience in Municipal / Government law, and Real Estate (sales, purchases, leases, condos, new-builds). Other practice areas include Employment Law, Human Rights Cases, Risk Management / Insurance (including drafting and reviewing corporate policies and procedures). Steve loves spending time with his gaggle of very active kids. An epic 2647 mile adventure to the East coast and back in a 1995 motorhome is a particularly fond memory. If he’s not volunteering vast quantities of his time in the community coaching hockey or soccer, then you can find him at an arena, on the pitch, or the bleachers of the baseball field watching as his kids enjoy their various activities. His interests away from the office include skiing, hockey, golf, squash, hiking, camping, fishing, canoeing, mountain biking, and general outdoor activities. He now utilizes a bit of precious personal time to attempt to hit the links here and there and play hockey from time to time. If you see Steve attending one of the kids’ myriads of practices, games, or tournaments, please head on over and say hi. He rarely bites and is a genuine, jovial, and friendly guy. See Steve’s LinkedIn profile for further information.